Yuuki Kanbe is a high class girl, heir to a wealthy conglomerate and student council president of her academy. Out of the public eye, she’s just a normal girl, and she wants to have a normal romantic relationship with her servant Wataru. Wataru rebuffs her despite having the same feelings, as he knows full well it would be taboo for a servant to be in a relationship with his master. 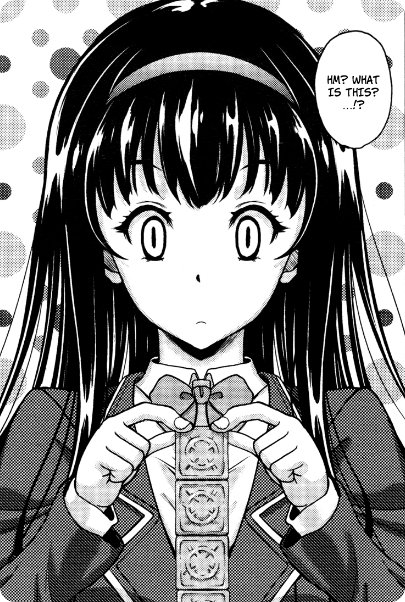 This story was republished in Kusui Aruta’s tankoubon “S.H.N.D. Ero GAL Irutte Hontou Desu ka! ?” (S.H.N.D.エロ★GALいるって本当ですか！？), but the digital version has worse censorship so we stuck to the magazine version. Wow. How long has it been since we started to work on this project? It took multiple translators and multiple editors, but it’s finally done. Shoutouts to Samwais and Amalthea for resuscitating and rescuing it. As I was saying, little sisters are the best.